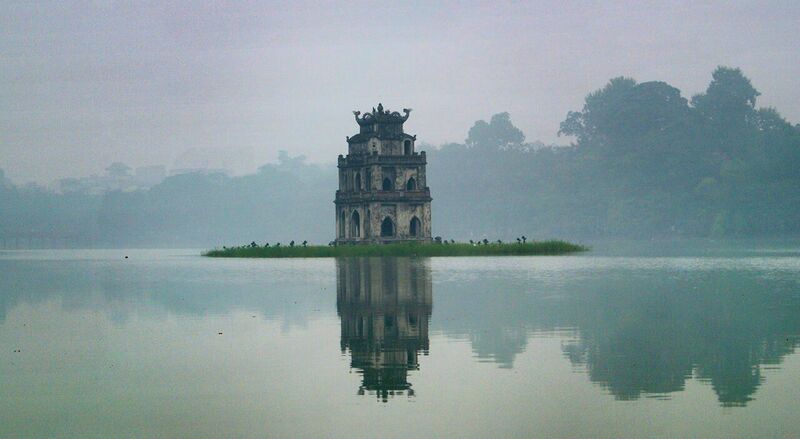 I am sure that when you come to Hanoi, you don’t want to miss the Sword Lake and see this tower. It has become an irreplaceable symbol of Hanoi. I guess you might ask your tour guide about what it is and why people build it but here, I want to give you a new point of view about this tower. 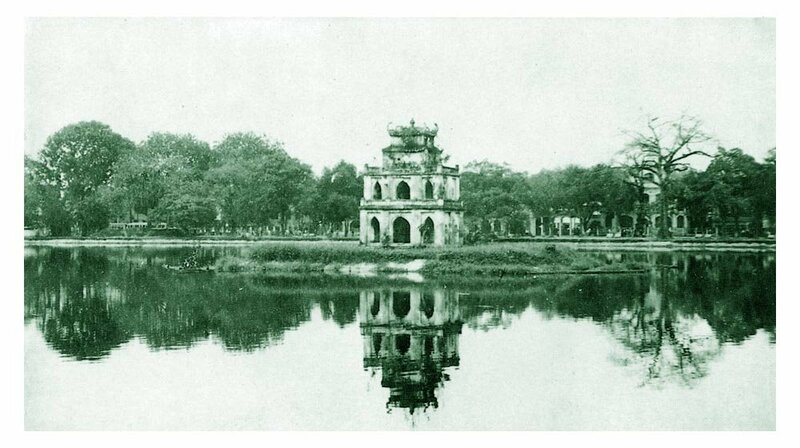 Turtle Tower appeared among in Hoan Kiem Lake (Sword Lake) since 1883, when the French began to rule in Hanoi. From the beginning, when the Sword Lake was still connected with the Red River, there was a piece of land inside the lake and no structure was built there. Sometimes, on raining season, the water level was up and made this tiny islet disappear. 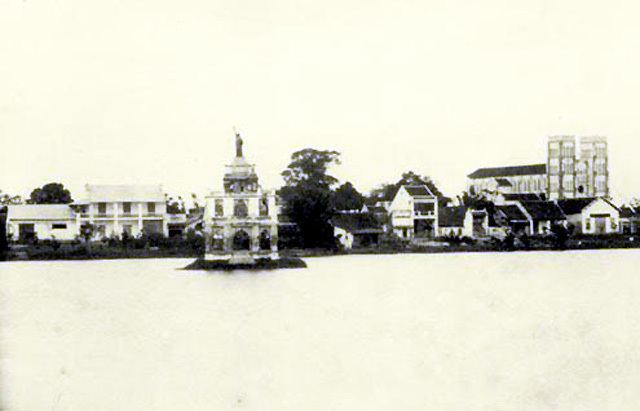 According to the old records, there was a rich man, Nguyen Huu Kim who working for the French had asked permission to build a three floor tower on that islet. Two downstairs followed Western architecture with pointed arch. The top floor was small, followed the Vietnamese style with four dragons turned to four directions. Although this tower is short and has a strange architect but surprisingly, it’s very matching with the scene around the lake and becomes a highlight of Hanoi. Why did Mr. Kim build this tower? The reason is still a mystery now. There is a story that Mr. Kim was the superstition in Feng Shui so he tried to bury his father in this place to be richer and more powerful. But the workers had found out that and thrown the body into the lake. However, this anecdote could be fabricated to depreciate Mr. Kim because he worked for the French. Recently, there are some others records said that Mr. Kim was not that bad and he had stood up to against the French, protect his country. So, a tower, not worth to be called a tower, without cultural and historical factors, has stood there for hundreds years and so close to Hanoian that in 1992, when government decided to paint the tower to make it newer, the whole people in Hanoi got anger and against that plan. Just imagine that one day, if this tower disappears, what will Hanoi’s people do? Turtle Tower nowadays is still so mystery but fit to the scene around! There is still an interesting story about this tower, begin with Statue of Liberty. When French came to Vietnam, they bring along many statues. The first one is a smaller version of the Statue of Liberty, the famous statue which France gave to the US. 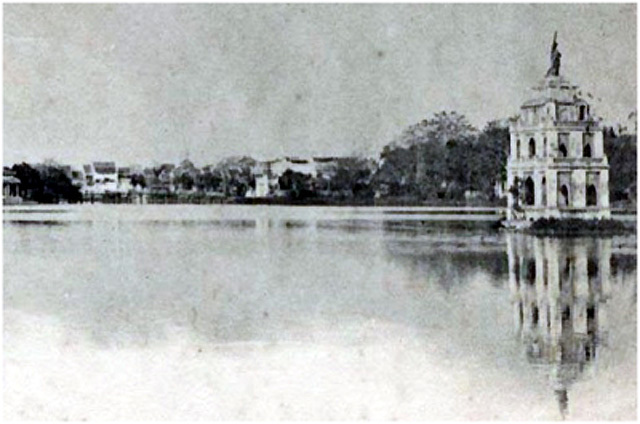 In 1887, there was an Expo in Hanoi. The French brought a statue, about 8 feet (2,5m) high to display. After that, they made a stone pedestal near Hoan Kiem Lake and placed this statue on it, where is in front of Ly Thai To Statue now. And then,in 1890, to commemorate Governor Paul Bert, the French decided to change the Paul Bert Statue into that place, and move the Statue of Liberty on the top of Turtle Tower. At that time, people called this statue is “Bà đầm xòe” (Flashy Lady). Turtle Tower with Statue of Liberty on top. You can see the St. Joseph’s Cathedral on the right corner of this picture (Source: internet). A closer look to this tower and you can see the Statue of Liberty more clearly. (Source: internet). So now, you know that Vietnam was one of three countries, used to have a Statue of Liberty. But in 1945, after the Japanese kicked the French out of Vietnam, all of the French statues in Hanoi were taken down and put in wasted warehouse. They stayed till in there until 1949, when Ngu Xa, the bronze casting village called for donation to make a bronze statue of Buddha Amitabha. All of the French statues, including the small Statue of Liberty and many statues of famous French people, were moved here to donate. 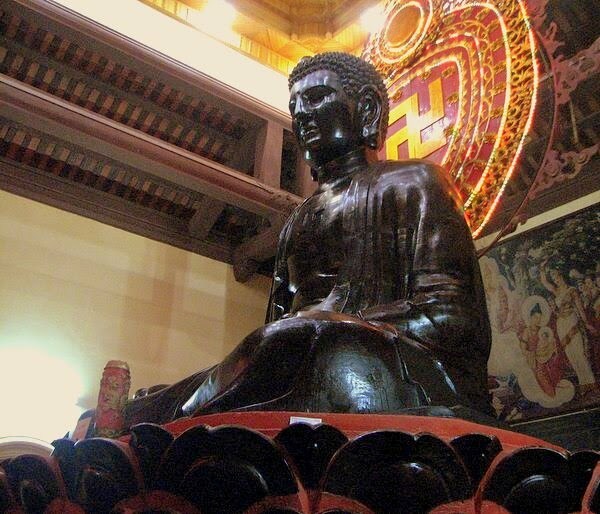 The statue of Buddha Amitabha was finished in 1952, weighed 10 tons and it was the largest bronze statue at that time. Thus, in the end, those statues lied peaceful inside Buddha, that’s a happy ending for them. The statue of Buddha Amitabha in Ngu Xa Pagoda – where the Statue of Liberty is lying now. Now, the image of Turtle Tower has come into art, poetry and the mind of people who know and fall in love with Hanoi. Even we still don’t know what it stand for but it’s always a long-live symbol of Hanoi and we are trying to discover more about it. 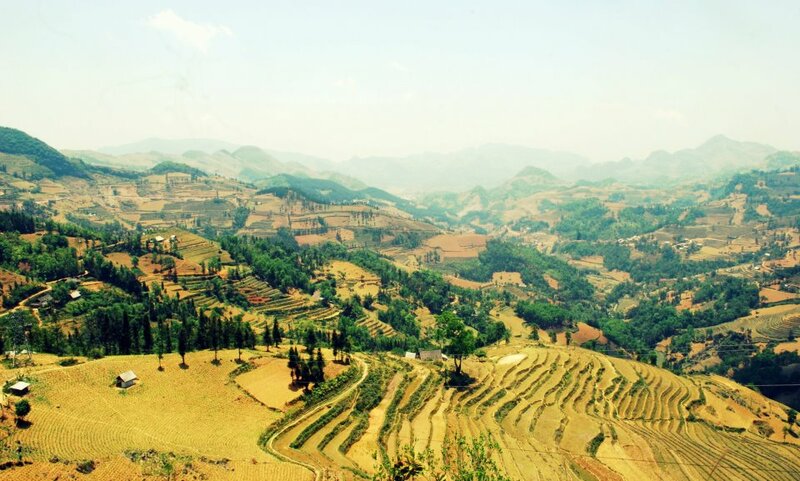 Bac Ha (Lao Cai) is well known for its naturally sub-tropical scenery. Tam Hoa plums which are sweet and fresh are really local specialty. 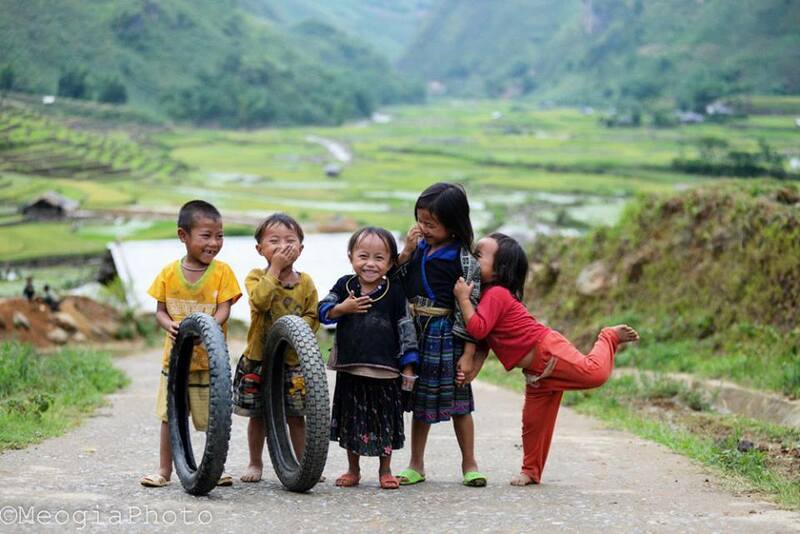 They seem to be created only for this land and only by the Bac Ha people. Average temperature here is 190C and it’s not so cold as in Sapa. Ba Ha is specifically identified by each mount, each house and the naturally made grown on high mountains. 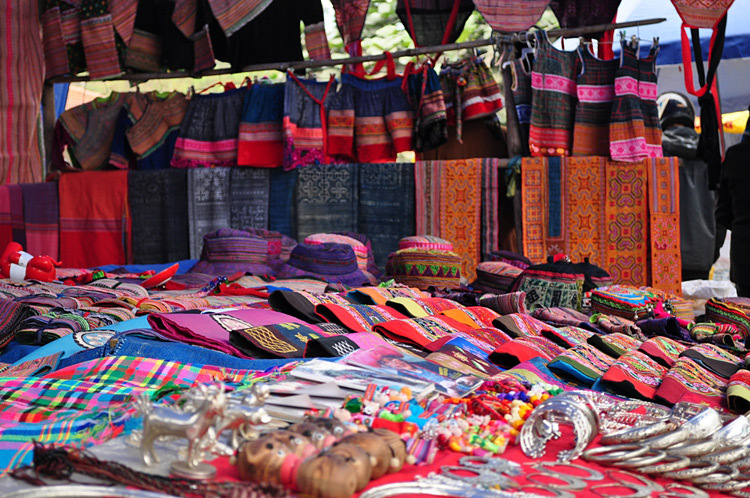 Being a minority ethnic people market, the town of Bac Ha is famous for its Sunday market which is a trading centre and meeting place for couples, friends, and relatives every Sunday. Ba Ha alcohol is well known due to its source of water (the one and only). 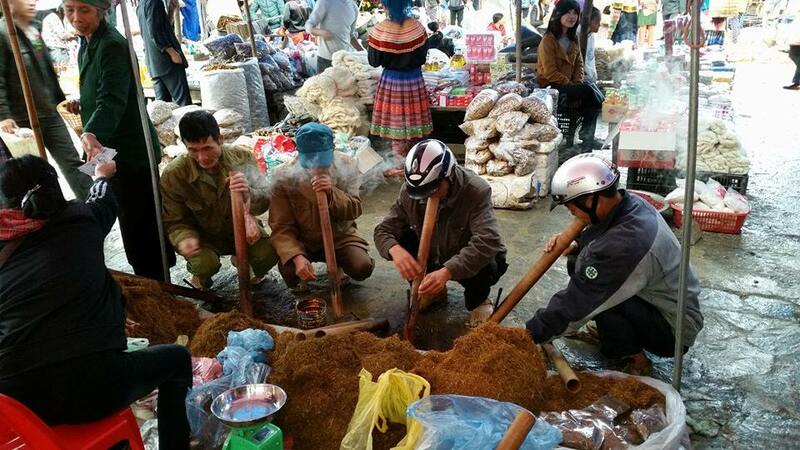 It’s surely believed never to have the fault one in Bac Ha market. Visitors can see the locals selling their own alcohol without feelings to be cheated. Tobacco tasting, try before you buy. Brocades are for sales in the market, in shops or by street vendors. There are hand made, or manufactured products. It takes an ethnic girl even a half of month to make a brocade item of only 20cm in length. Their skirt or costumes cost them longer time to make. Their dresses express their patience and skills. You can see the girls making brocade right in the market. Traditional values and identities are well maintained in the market. 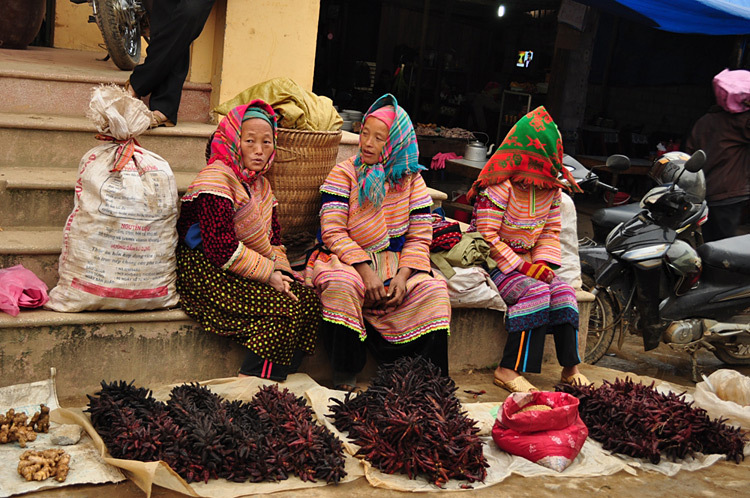 Such markets as Bac Ha, Coc Ly…have really become rendezvous for visitors at home and abroad. There is almost no bargaining or competition here. Sales girls look quite naïve and sincere. They go to the market mainly to meet people and exchange funs. There is especially, a horse market in town center, there are almost 100-200 horses for sale or exchange. 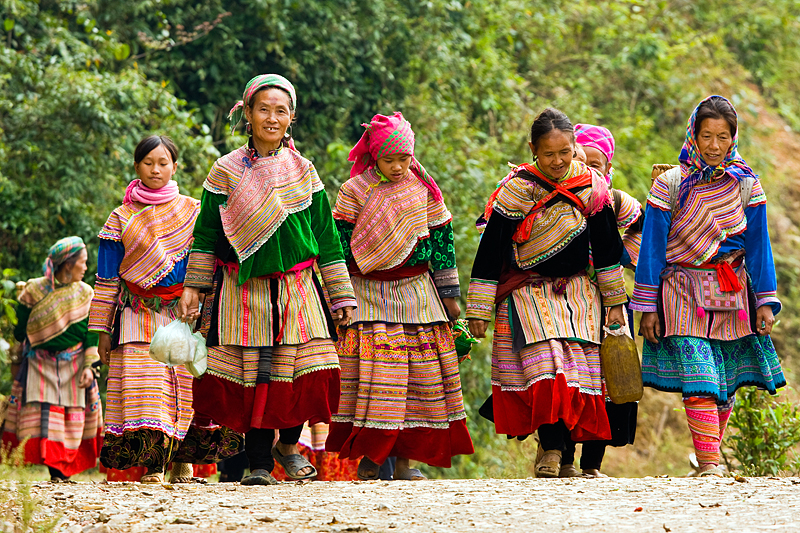 Visitors also have chance to see Muong, Tay or Dao ethnic minority girls and boys, in their best dresses, go to the market to relax and meet their friends. At sunset, they leave with a promise to see each other again. 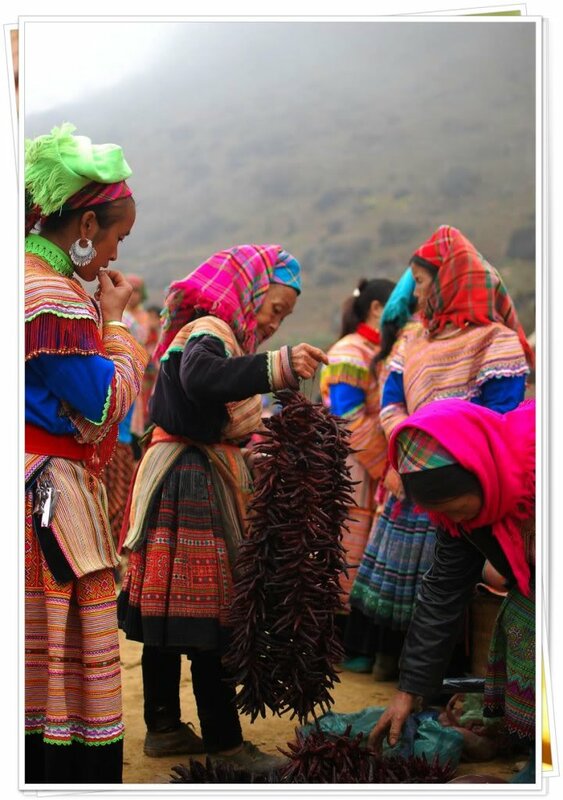 Let’s once visit Bac Ha to get opportunity to understand the local tradition and custom, to taste local specialties, to experience a wide range of different colorful ethnic minorities and to discover the land named “white plateau”. 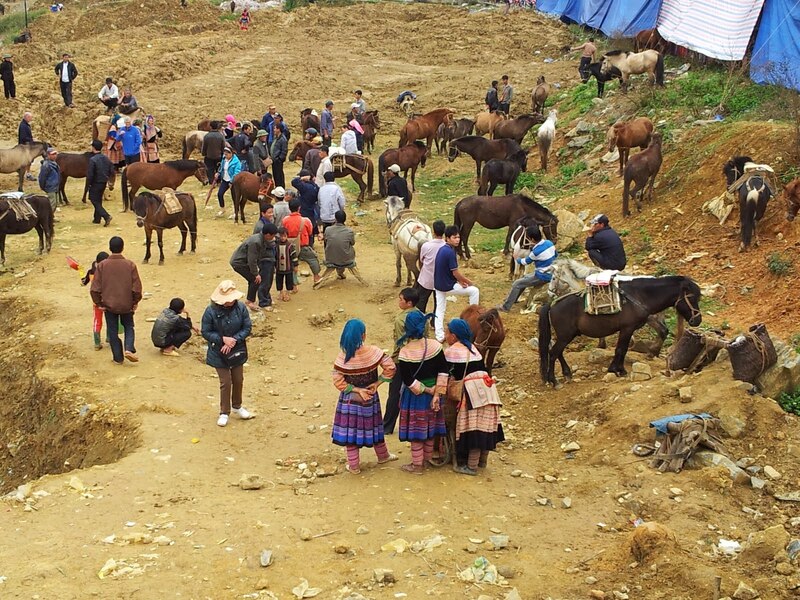 Bac Ha market only opens on Sunday morning! When seeking a place to get away from the noise of the city, travelers to Hanoi or Hanoians alike often head to Hoan Kiem Lake. Peacefully and quietly located, the lake surrounds Ngoc Son Temple, a pagoda sitting on a small island; such information you can easily find in any travel guidebook. Still, not everyone knows that around this famous lake scattering some hidden “secret” coffee shops present amazing lake view & street view. They remain secrets even to native locals as normally hidden away in a dark alley or stuck in the middle of an on-going business shop. They are the true symbols of Hanoi coffee culture that I am always proud of. Đinh Coffee should be rated as the most famous one among other coffee shops around Hoan Kiem Lake. In its early opening years, it was named “BÍCH COFFEE” following the owner’s name. Mrs. Bich is the daughter of famous “GIẢNG COFFEE”’s owner, among the wellknown “big four” coffee brands in Hanoi: NHÂN COFFEE – NHĨ COFFEE – DĨ COFFEE – GIẢNG COFFEE. 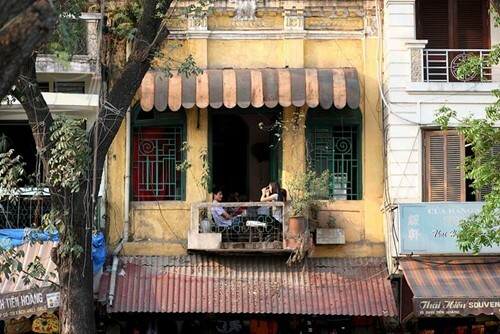 Shop opened in 1990, later renamed Đinh Coffee simply because it’s located on Đinh Tiên Hoàng Street, with balconies facing to Hoan Kiem lake. Hanoian generations of 1970s and 1980s probably do not need much introduction about this coffee shop. Đinh coffee is small, of 20m2 large but no matter winter or summer, day time or night time, it is always full of guests, mostly pupils, students and art lovers. Many foreign visitors often wonder why such an old, narrow, noisy and sometimes full of smokes place could be loved and favored that much by Hanoians. Maybe, it is the old feature, moss walls, dark small staircase, rusty French balconies that have kept many unforgettable memories of each individual once visited here. There is nothing better than sipping a warm egg coffee cup talking to some old friends on a monsoon day at Đinh while enjoying the view of busy streets and the peaceful lake. To reach Đinh coffee, just walk to No.13 Dinh Tien Hoang Street, you will find the first floor a bag store, go straight inside and follow the stairs to the 2nd floor. There it is! Sketch is much more obviously recognizable thanks to its rather large nameboard. 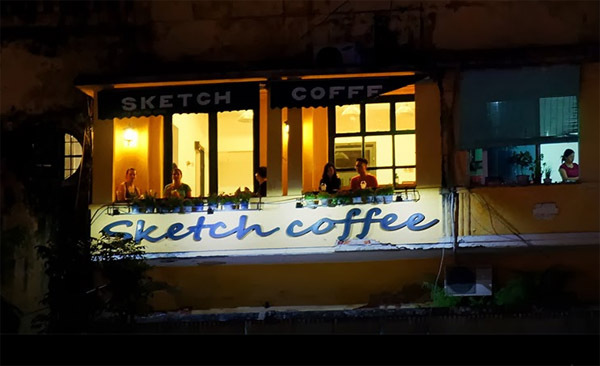 This coffee shop is located at the corner intersection of Dinh Tien Hoang Street and Hoan Kiem Lake Street, adjacent to Thang Long Water Puppet Theatre. It’s easy to recognize but finding the way up to this coffee shop is always a big question to first time visitors. Balcony area is the most favorite place in the Sketch. The view is so clear without being blocked by any other surrounding buildings. This is the ideal place to enjoy the lake view at anytime of the day. Shop has no private car/ motorbike park. You need to leave your vehicles at public car/ motorbike park nearby the center fountain, then walk toward the intersection and also the street famous for its ”Vietnamese dry beef papaya salad”. When approaching the house No.57B, go straight into the small alley between souvenirs shops, or just in case you are unsure, ask the souvenirs sellers at the 1st floor. 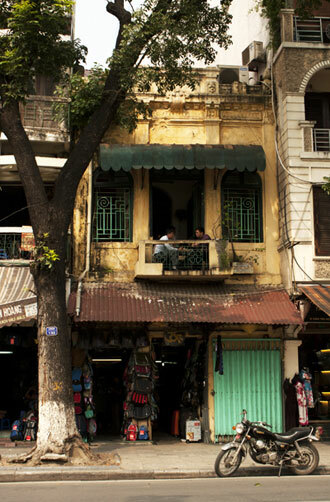 Once entered the alley, you will go up the old and dark stairs which are characteristics of Hanoi Old Quarter. Luckily, the staircase is spacious enough for 2 – 3 people walking together. Walk up till the 3rd floor – where the shop is located. Sketch space is quite small but decorated with impressive artistic style, designed by a group of young students from Architecture University. 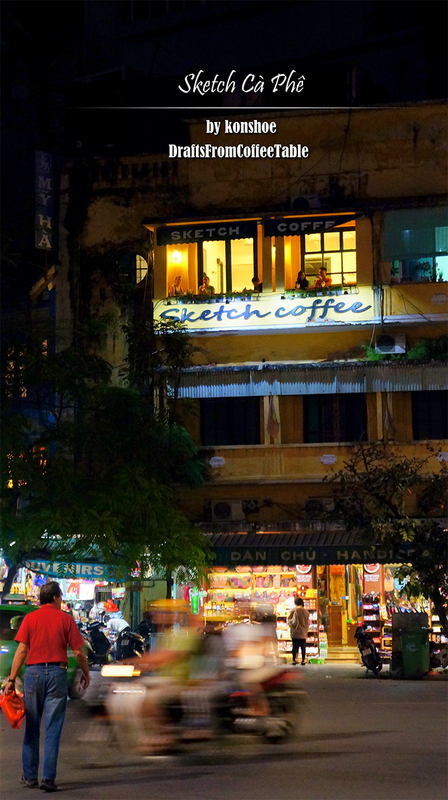 The most outstanding point of this coffee shop is the outdoor balcony which offers the best view toward Hoan Kiem lake. Shop serves mostly ice-blended drinks that are more suitable for the youth. Sketch is recommended on many travel blogs since its opening time. Tarot card fortune telling is held every Wednesday from 5 pm till 21 pm and if you are lucky enough, the host may draw you a unique portrait sketch. Are you interested? Stay tune till our next post revealing some more hidden places..
From the last post, we continue our tours in Vietnam through Vietnam’s currency. Now, we will visit two different destinations on 10.000 VND. This note is the most unique money in Vietnam because there are two versions of its still alive. One is made from paper, ones from the polymer and the paper note is much valuable (in culture point). Polymer – 10.000 dong with an important resources of Vietnam. Paper-10.000 dong, a lucky and rare money. About paper 10.000 dong, we head back to the north of Vietnam to go to a famous place in Vietnam – Halong bay. This is one of the Worlds Heritage and so familiar with all tourists so I won’t talk about this. Let’s see why this note is more valuable that the polymer version, even they have the same amount. The hint is about its color. In the entire of money note in Vietnam, there is only this one; paper 10.000 has the red color on it and a suitable amount of money. Maybe you have heard about this before, in Tet Holiday, we have a traditional activity is giving each other a lucky money to bring health, luck and anything you want in a new coming year. For this lucky money, it has to be red (because we believe red brings all the good things) but can not to be so small (like 200 or 500 dong) so that 10.000 is the best choice. Besides, recently, it’s kind of hard to find a paper 10.000 dong and they are not printed anymore so if you have that, keep it like a lucky charm. 20.000 dong with symbol of Hoi An. Higher than 10.000 is 20.000 dong, a blue note which is very easy to mistake with 500.000 dong. Many people, even Vietnamese have that mistake. The picture you see is The Japanese Covered Bridge. The Japanese Covered Bridge or Cau Pagoda (in Vietnamese “Cau Nhat Ban”) is one of the most famous tourist attractions in Hoi An, Vietnam. The original Vietnamese name of this bridge is “Lai Vien Kieu”. It is considered that the Japanese Covered Bridge belongs to the Japanese community in Hoi An, and was built in the early seventeenth century. No trip to Hoi An would be complete without visiting The Japanese Covered bridge. Besides, Hoi An is a must-visit city when you come to Vietnam, you will find that it’s a heaven of tailor-made clothes and shoes. An inportant place from Nguyen’s Dynasty on 50.000 dong. Near Hoi An is Hue – The Emperor Citadel, which printed in 50.000 dong. This is just a small part of the whole citadel, called Phu Van Lau (Phu Van Tower). It is small but has a great position in history. It’s a place with 3 main tasks, included: To announce the King’s Order; to honor one whom passing the country’s exam to be a Dr.; and to hold a special fest for people in some specific time. Recently, this place has broken because of termites but actually because this place doesn’t have any organization or department care about it to repair and maintain it. What a pity! Symbol of Hanoi for 100.000 dong. Next, we fly to Hanoi and visit Temple of Literature on 100.000 dong. As you see in this note is Khue Van Cac, means the floor of the light of Khue Star. This small part is very popular and famous of this complex. Long time ago, this is a place for the King and his man discussed and showed their talent in poetry or literature. Because of this, Khue Van Cac becomes a symbol of intelligent and respected to talent people. Nowadays, Khue Van Cac has become a symbol of Hanoi with many stories around it. If you have time in Hanoi, don’t miss this place to know more about the history, culture and how Vietnamese people think. Ha Long Bay, an interesting place of Vietnam on 200.000 dong. Then Ha Long again. You and I, we both know that Ha Long is truly beautiful and worth to spend time in there but Vietnam doesn’t have only Ha Long. There are hundred or thousand places are that beautiful and even more to discover or printed on money. But since the paper 10.000 becomes rare and no longer printed more, the government thinks that there have to be Ha Long on some money note because Ha Long Bay is one of the most attractive place for tourist in Vietnam now. That’s why on 200.000 dong there is an islet, among 1969 islets on the bay, called Incensory Islet (Dinh Huong Islet). This islet doesn’t have any special but someone think that it looks like an incensory, which means a big thing to honor the Earth and Sky and remind them when drinking water, remember who dug the well. Normally, you will see this islet on the way back from Ha Long Bay in the dock. Some guide may tell you that this is Sails Islet or anything they think it looks like. On the lagerst money of Vietnam is the home town of the greatest person of Vietnam – Our beloved President Ho Chi Minh. Finally, at the end of our tour, the biggest money in Vietnam – 500.000 dong is a special place of Vietnam. The house you see there is Ho Chi Minh’s House, where he lived when he was born until 10 years old. This house is located in Sen Village (Lotus Village), Nghe An province. This is Ho Chi Minh’s hometown where also is home town of many talented people, who hold many important positions in Vietnam Government. This place is not too popular with foreigner but all Vietnamese people know that place. Maybe to honor our Greatest President, the Government spends the biggest money to print his hometown on it. It is interesting to come here and find out more about his life, if you want to know him better. Through Vietnam’s currencies, you have discovered many things about our country in many points. I know our country has to improve in many things but I am very proud of to be born as Vietnamese and I feel so, so good to live in here. I hope that through this, you will know somehow Vietnamese people think and act and maybe, make you love our country more.